TRADITION is a story or custom that is memorised and passed from generation to generation, originally without the need for a writing system. Tools to aid the process include poetic devices such as rhyme and alliteration. The stories thus preserved are also referred to as tradition or as part of an oral tradition. One man who has learnt the art of building through tradition is Akini Koroivalu of Natacileka Village in the district of Dawasamu in Tailevu. 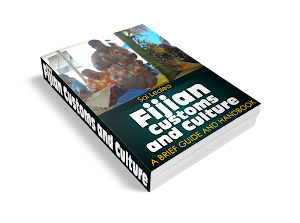 Traditionally, Mr Koroivalu is a mataisau, or traditional builder in the Fijian society. In Fijian mythology, the mataisau clan are the descendants of the deity Daunisai, one of the sons of Lutunasobasoba who brought the Fijians people across the seas to Fiji. Daunisai settled on Kabara Island in Lau when the Fijian people spread through the Fiji group from Verata. Now at 72 years of age, Mr Koroivalu still practises his talent. At the same time, he is passing his skills and knowledge to his sons, grandchildren and nephews in the village. He said while he was a mataisau, what enhanced his skills more was that their mother was vasu to the mataisau clan and a direct descendant of Daunisai from Ucunivanua in Verata. "It is in Verata where all the mataisau clan around Fiji originate from," he said. His trade has made a name for himself around the Fiji group of islands. He has left his mark, so to speak, because he has built most of the wooden boats that sail inter-island in the Fiji islands. When we visited him last week he was doing what he likes best building boats. "I started the trade of building boats on this beach at Natacileka in the early 1960s after coming out of Ratu Kadavulevu School," he said. "My architectural skills were fine-tuned at RKS during my years there, from 1951 to 1958. "I knew I was a mataisau and it was really the reason why I wanted to develop the gift which is a God-given talent. "During my years at RKS, I was able to put all the skills I knew into practice and it really helped me a lot when I left the school. "I was the headboy at RKS for two years, in 1957 and 1958, and was a member of Ma'afu House," he said. It is interesting to know that Mr Koroivalu was never employed but did his own thing after he left school. "I built boats for people in Yasawa, Lomaiviti, Naigani Island and other villages along the Tailevu coast. "My work does not only involve building boats; I've built more than 100 houses. "Most are village houses in Dawasamu and includes a couple of churches and schools," he said. Some inter-island and village boats he remembered building include the Vasu i Darata, Gone Vasu, Tai Tiki and Rosi ni Toba. "Most of the boats I built here on the beach and when I complete them, I would take it with my family to the owner. "It was during one such trip that I found my true love at Kese in Naviti, Yasawa," he said with a smile. "The feeling of satisfaction is something that comes in me when I see that the boat is near completion and we all enjoy the end product," said Mr Koroivalu. He said the most important part of his work was when he taught his family about the art. "It is something that I always stress to my relatives and that is to develop the traditionally God-given talent and develop it much further. "From what I am seeing now, most of my nephews and grandchildren are quickly learning and know more, for which I am very grateful," he said. Mr Koroivalu said he would continue with his work until he knew that he had done enough. "God has a plan for each one of us and as long as he wants me to continue with my work, I will do so," he said. Mr Koroivalu said tradition was frequently changed to suit the needs of the day and the changes quickly became accepted as part of tradition. I would be happy to have a look for feedback as I too am keen to see our seafaring traditions recorded and understood. would you have any visual examples of the houses that you built and what you charged for them. I am currently living in australia but am about to purchase some land in Fiji. I would prefer a local builder that adheres to custom, but is willing to have a broad mind. Do you have a website? Could you please send response to elpiyu71@hotmail.com. A National Identity for Fiji?